Uncertainties and risks in agricultural land use allocation may affect agricultural sustainable development, which leads to the necessity to effectively assess risks when optimally allocating agricultural land use. In this study, a framework of multi-risk assessment for agricultural land use allocation was developed. 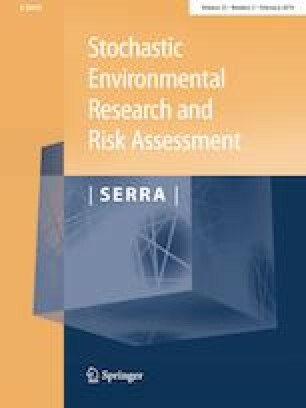 In the decision-making of agricultural land use optimization, the developed framework is capable of fully describing multiple risks using uncertainty methodology, including fuzzy, stochastic and interval methods. Moreover, the framework can help managers fully understand risks associated with various water supply scenarios, targets and optimization schemes of agricultural land use optimization. A real-world case study in Minqin, northwest of China was conducted to demonstrate the feasibility and practicability of the developed framework. The runoff volume of Caiqi was divided into five intervals by interior-outer-set model which represents risk levels in risk assessment of water supply. Then, results of agricultural land use allocation expressed by Shannon information entropy of water use structure and relevant optimal targets were obtained by Monte Carlo method. Sensitivity analysis on water use efficiency, available cultivated area and the ratio of grain crops to commercial crops will help decision makers better understand the potential risk conditions and then provide guidance in choosing suitable plans of agricultural land use. This research was supported by the National Natural Science Foundation of China (Nos. 51439006 and 51621061).